Eaglebrook School, Deerfield Academy and Bement School. Located 10 minutes north of Old Deerfield in the town of Greenfield. Weekends to extended stays welcome. RUFUS HOUSE: the entire house is yours. Please look through the photos and imagine yourself enjoying the RUFUS HOUSE. This MASTER bedroom has a king size bed outfitted with crisp white linens and a variety of pillow choices to help you have a sound sleep. The MASTER has two large walk-in closets and a club chair for relaxing comfortably. Additional pictures in the drop down menu. This QUEEN bedroom has a queen size bed outfitted with crisp white linens and a variety of pillow choices to help you have a sound sleep. 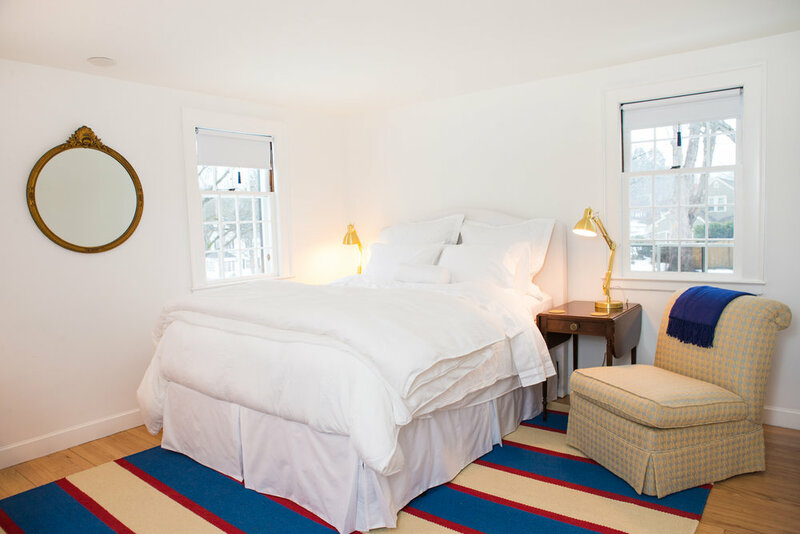 This bedroom has a walk-in closet and slipper chair for relaxing comfortably. 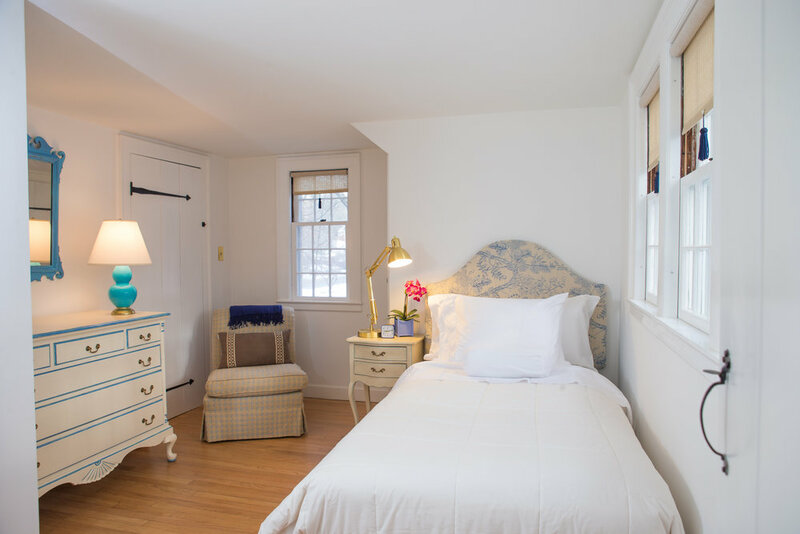 This TWIN bedroom has a twin size bed outfitted with crisp white linens and a view over the 2 acre lush backyard.